This example demonstrates issues in spectrometric calibration. The data (Umetrics 1995) consist of spectrographic readings on 33 samples containing known concentrations of two amino acids, tyrosine and tryptophan. The spectra are measured at 30 frequencies across the overall range of frequencies. 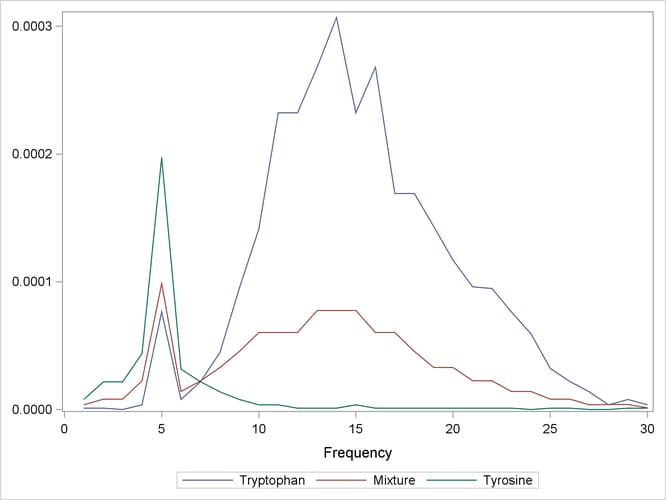 For example, Output 76.3.1 shows the observed spectra for three samples, one with only tryptophan, one with only tyrosine, and one with a mixture of the two, all at a total concentration of . The table shown in Output 76.3.2 indicates that only three or four factors are required to explain almost all of the variation in both the predictors and the responses. 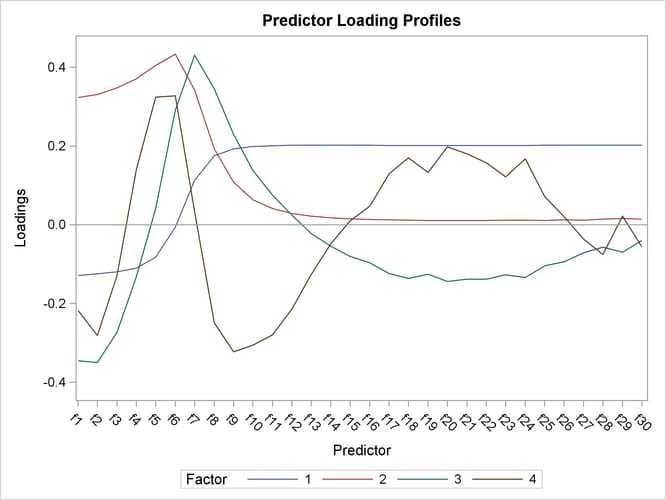 In order to choose the optimal number of PLS factors, you can explore how well models based on the training data with different numbers of factors fit the test data. To do so, use the CV= TESTSET option, with an argument pointing to the test data set ftest. 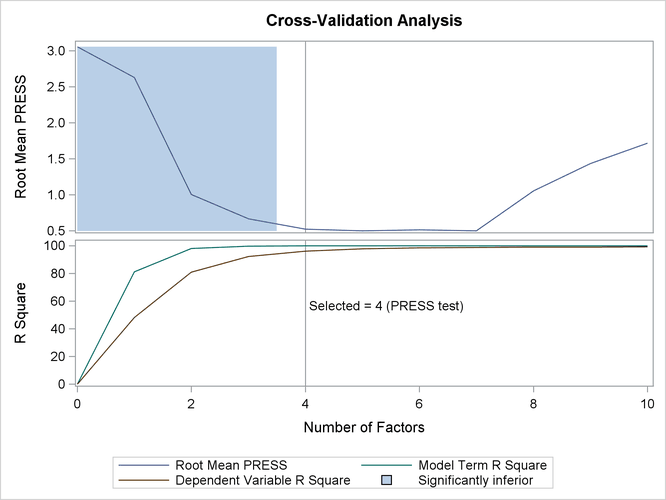 The following statements also employ the ODS Graphics features in PROC PLS to display the cross validation results in a plot. The tabular results of the test set validation are shown in Output 76.3.3, and the graphical results are shown in Output 76.3.4. They indicate that, although five PLS factors give the minimum predicted residual sum of squares, the residuals for four factors are insignificantly different from those for five. Thus, the smaller model is preferred. The resulting plot is shown in Output 76.3.5.